NPB will be joining forces again this year with the wonderfully talented Nemo Roberts aka NEMOGRAPHY! Pop in to say hi and see our latest work. 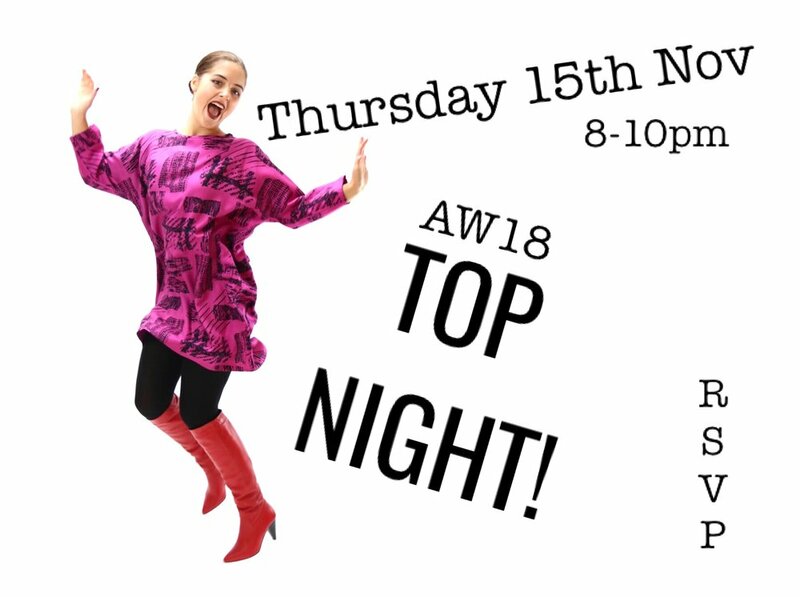 Always a fun event and run twice a year only, Top Nights are an opportunity to see the new fabrics, try on the latest pieces, have a glass of wine and grab a special discount! TOP NIGHTS: These shopping events are held twice a year in Herne Hill and are an opportunity to try on the latest garments, have a glass of wine and pick up some new clothes at a discount. NPB and Nemography team up for this year's artists' open house! Join us for refreshments and to see our latest work- photography, womenswear and accessories. Why not make a day of it and follow the design trail? There are lots of fabulous things in the area, look out for the Dulwich Festival brochure. NPB will be joining the fabulous Mootz London for an evening of Christmas shopping- get yourself and your kids kitted out for the festive season and bag some unique gifts too! Come early for a complimentary glass of fizz! Please join me for this season's Top Night- a social evening with new stock, wine, nibbles and discounts! Please contact Naomi to be added to the guest list. Buy original work by some of the best creative talents the South- East has to offer at the second SEMC Makers' Market, including contemporary ceramics, jewellery, textiles, art and fashion from Conpot, Fran Regan, Fronte, Agatha A., Sarah Colson, Tim Walker, Laura Nelson, Heros of Switzerland, Chloe Regan, Rain Hotton, Katrina Russell-Adams, Elina Constantino and Lisa Vaughan Thomas, Caro Gates, Naomi Purkiss Boutique, Boom Blooms and more. The lovely new Copper Beech Cafe in North Dulwich is kindly hosting an NPB Pop Up + Pimms event on the evening of Friday 30th June. Come along and have a refreshing glass of Pimms, browse the rails and see the new space. Wear NPB if you can! 15% discount to Jags Members. Pop down to The Parlour, (opposite Brockwell Park) to pick up something special from local designers, Jo Hill Jewellery, Jane Larkin Bags and Naomi Purkiss Boutique and grab something delicious to eat and drink while you're there! Contact Naomi to be put on the guest list for this social evening where you can browse the rails, have a glass of wine and maybe pick up a one off or discounted NPB piece! NPB party outfits & gifts: I will be offering 10% off clothing plus discounts on bags and accessories.